For 120 years, San Lucas Island Prison was home to the most vicious criminals in Costa Rica. Since it was shut down in 1991 the former prison has only housed the remnants of inmate graffiti scrawled across cell walls and even sketched in human blood. 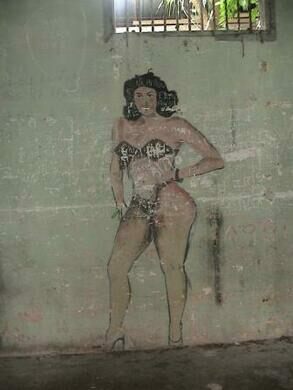 Given that all the artists on the island were prisoners and were provided no proper artistic tools, anything they could find that would leave a mark was used to tag the walls of the prison. Words and pictures expressed their anger and depression, along with their horniness and faith in something outside of the tropical prison. 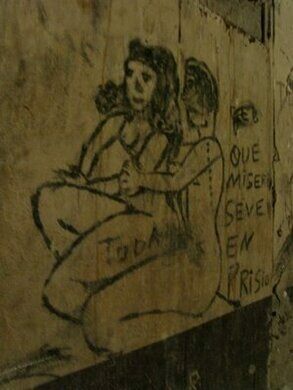 Although the vast majority of drawings in San Lucas Prison depict naked women, these explicit portraits often share wall space with haloed depictions of Jesus and other symbols of religion. 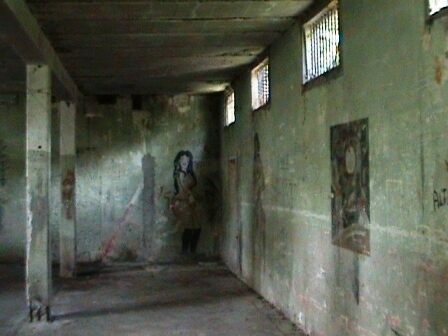 Besides the content of the pictures, most visitors are also fascinated by the “ink” used by prisoners, and certain blood-splattered sketches always catch the eye of unprepared tourists and hold the memories of the brutality carried out inside the prison walls. Balanced rock sculptures pay tribute to a murdered conservationist and his pioneer wife.